April is World Autism Month! Let’s light it up BLUE for April!!! Did you know it has been estimated that 50 – 80% of children with Autism Spectrum Disorder (ASD) have difficulty with some aspect of sleep! Some of the most commons sleep issues are inconsistent sleep routines, difficulty falling asleep, repetitive night waking, and early morning wake times. Determining the cause is the first step toward treatment. Causes can be biological, medical, and/or behavioral. Assuming the biological and medical causes have been or are being addressed, there are things we can do from a behavioral standpoint to help improve sleep for children with ASD. Daytime activities play a large role in how we sleep at night. Specifically, we want to ensure your child is getting adequate physical activity and enough exposure to sunlight. We also want to limit caffeine and carbs (especially later in the day), ensure naps end by 4pm, and use the bedroom for sleep only. If there have been stressful events that have taken place during the day, we can use various relaxation techniques to help manage the stress. Evening activities are just as important as daytime activities. It’s critical to ensure our children are not participating in any difficult or stimulating activities within 1 hour of bedtime. So, that means no homework, video games, TV and/or sports. Instead, we want to introduce relaxing activities such as music, drawing, calm toys. This is a great time to practice relaxation techniques (breathing, yoga, and guided imagery). Bedtime routines are key! The same routine each night will create cues for your child’s body that it’s time for sleep. It’s helpful to use visual aids (pictures and/or words) to create a poster of the steps included in the bedtime routine. Pick only a few activities (between 3-6) and arrange the activities so you are moving toward the bedroom. Use the same verbal cues each time you tell your child to perform a task. Let your child be in charge of the schedule and praise them when they successfully complete the routine. An appropriate bedtime is also a factor in preventing sleep issues. Children with ASD need even more time to calm down as they tend to get more stimulated. If your child falls asleep within 20 minutes, it is the right time. We want to avoid the “forbidden zone” where the child gets a second wind and begins producing cortisol again. Be super consistent with bedtime. It will help develop regular and natural sleep patterns. Sleep environment is another area we can makes changes if necessary. For example, location is important. Your child can either have their own room or share a room. Some children may feel less anxious if they share a room with another person. Maintaining a temperature of 68-72 is ideal. We want the bedroom to be cool. If you use a white noise machine and/or fan, keep them on all night for consistency. Some children are super sensitive to sounds and are very aware of even small changes. White noise machine can help block out unwanted sounds. Another thing to consider is texture. Some children are sensitive to certain fabrics. Weighted items and/or sleeping bag with pillows are commonly used. Finally, a dark room is best. However, some children may be used to falling asleep with the lights on. I’d suggest using a dimmer switch so you can gradually decrease over time or change the wattage of the light bulbs. 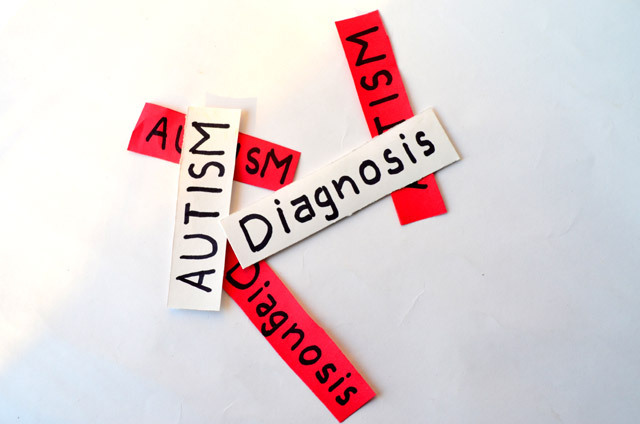 For more information, you can check out https://www.autismspeaks.org/. They have a various sleep tool kits for parents. You can download them here.